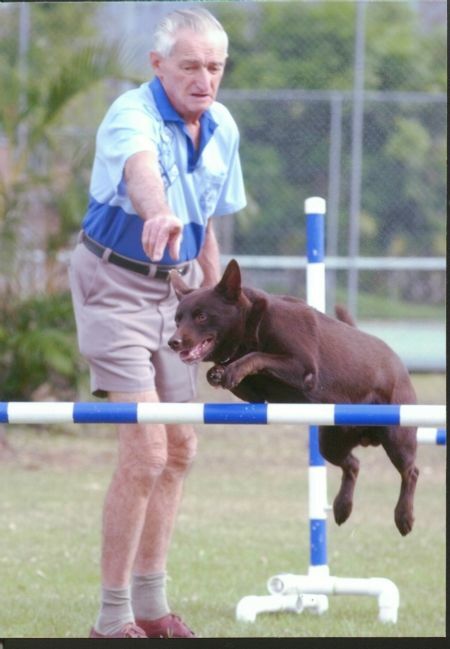 Working dogs and Dog Sports seem to go hand in hand. 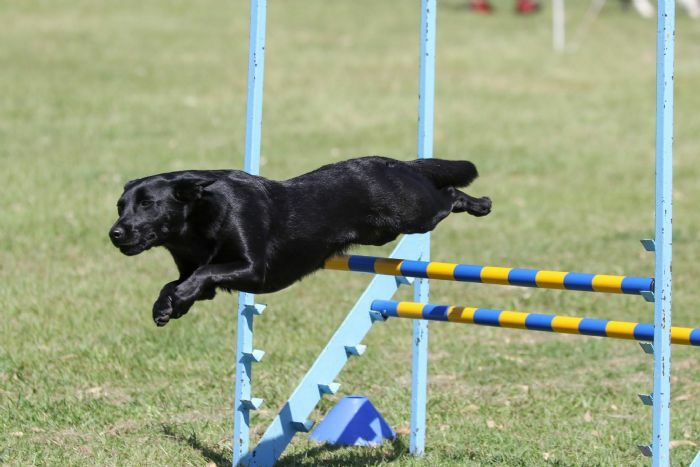 Many of our member compete in dog sports or have bred dogs that do. If you want to find out more about Obedience or how to find your local Obedience club, then your ANKC state governing body can supply you with that information. 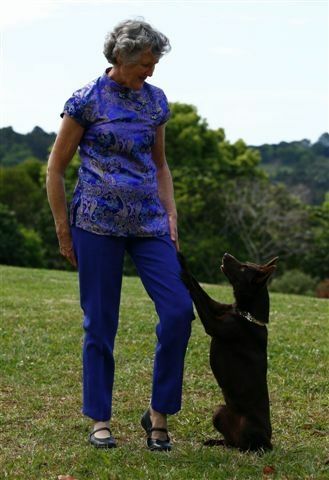 The Queensland branch is the Canine Control Council of Qld, you can find their website on our Links page. Obedience is a team effort and is a great way to bond with your dog. 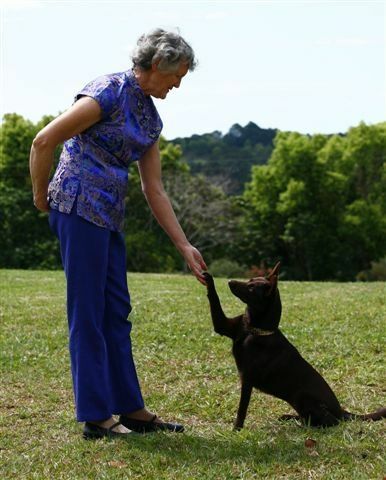 From basic obedience to competing in trials there is something to suit you and your dog. Obedience trialling consists of different levels, requiring 3 passes to attain titles, with each level getting harder as you go up. From the basic heeling on lead, stay and recall to the higher levels of retrieving dumbells, scent discrimination, heeling off lead, and change of position from a distance, we have members that have competed at most levels. 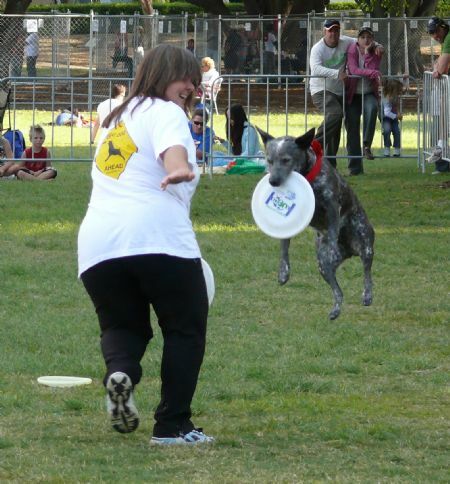 Lure Coursing is usually limited to sighthounds, that is, dogs that use their eyes rather than their noses for hunting. (For example - Afghans, Borzois, Greyhounds, Irish Wolfhounds, Ibizan Hounds, Pharoah Hounds, Deerhounds, Salukis, and Whippets.) 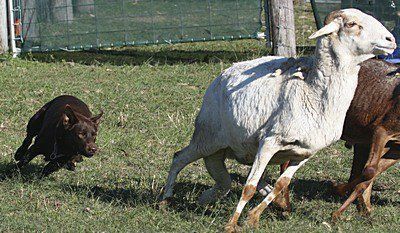 Any other dog, pure bred or not, that has a penchant for the chase, may compete. Hunting with dogs goes back to antiquity, as can be seen by pictures and tapestries in Art Museums. 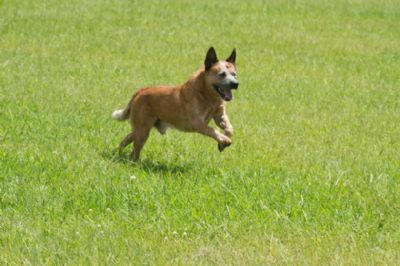 Lure Coursing is now a sport which is extremely popular in England, Europe, and the U.S.A. and came to Australia in the early eighties in the form that we practice now. It came first to Queensland and now N.S.W., Victoria, & Western Australia all have regular meetings. 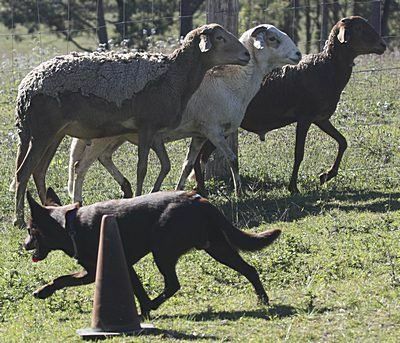 Lure Coursing tries to stimulate the hound's natural instincts for coursing. The "Lure" (a bunch of plastic strips, skin or a plastic bag) is tied to a rope that is pulled around spindles and pullies by a motorcycle especially designed for this purpose. The course pattern is irregular and somewhat similar to the way a hare might run in the open field. 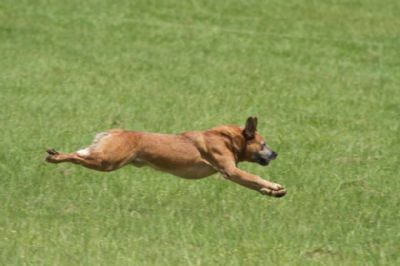 In an official Lure Field Trial, the dogs are released on the Huntsmaster's call of "Tally Ho" and they follow the lure around the course. 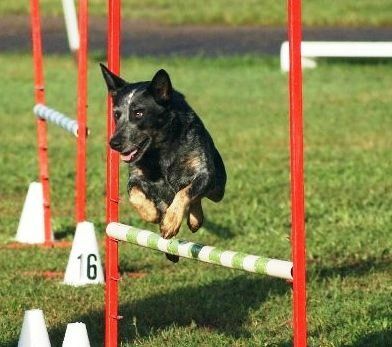 Each dog is scored on it's enthusiasm, follow, agility, speed and endurance. After the scores are totalled a the end of the day (each dog is run twice) prizes are awarded to the 1st, 2nd and 3rd dog in each breed, with the overall winner of the day getting special recognition. These points allotted go towards the title of Field Champion and for those dogs that already have that title, the title of Lure Courser of Merit. This is an alternative form of obedience training where owners train their dogs to carry out various comands choreographed to music & to form a dance style routine. Dances with Dogs (DWD) is a relatively new canine sport, which began in the UK in the early 1990s. 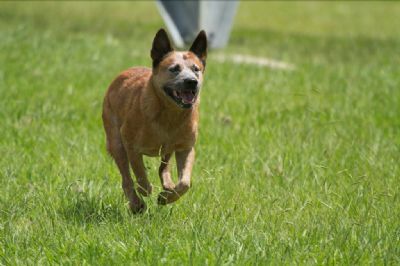 It was approved by the Australian National Kennel Council (ANKC) as an official sport in Australia from 1 January 2009. 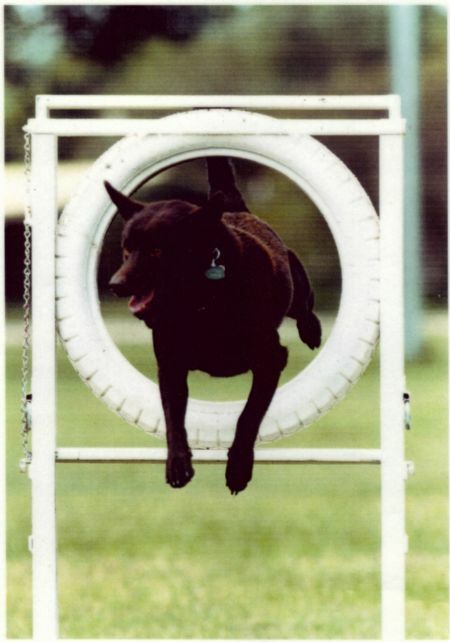 Working dogs excell in Agility. Aust CH Suthenskys Single N Luvn it... 'Jasper', showing that even pretty show dogs can work.